Welcome to PWK Law. We represent clients in legal issues that interact and overlap in life and in law. Our main practice areas are: ENTERTAlNMENT, IMMIGRATION and FAMILY law. However, PWK Law also accepts select cases in other areas of law such as contract, business and personal injury. Call us at 901-210-6551. ﻿Attorney Kelly graduated in 1999 with a J.D. 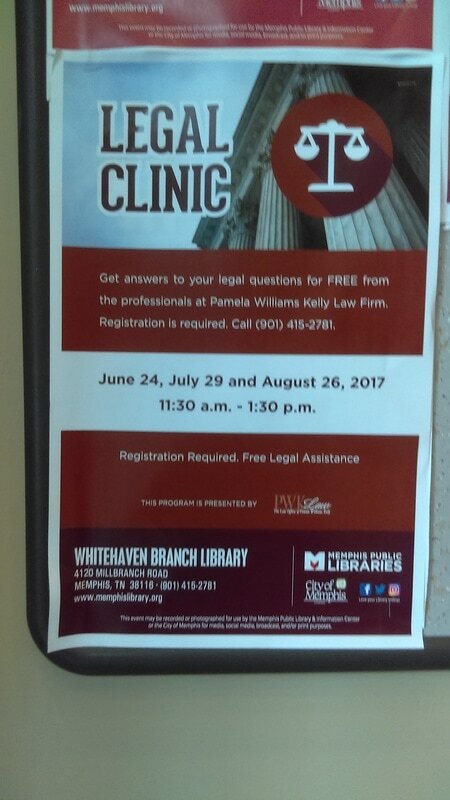 from the the Cecil C. Humphreys School of Law at The University of Memphis. She earned her B.A. in Communications from Mississippi State University in 1987. 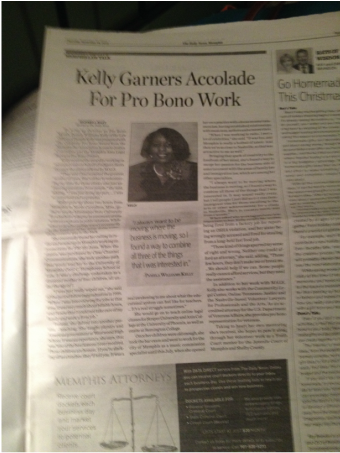 At MSU, Attorney Kelly also earned her radio operators license from the Federal Communications Commission (FCC). 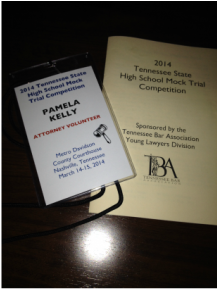 Attorney Kelly is licensed to practice law by the Tennessee Supreme Court. She is also admitted to practice law in the U.S. immigration courts by the Executive Office of Immigration Review (EOIR). Attorney Kelly was formerly an accredited attorney for the U.S. Department of Veterans Affairs for over 4 years. Attorney Kelly was an adjunct professor of bachelor and master level courses in business, intellectual property and legal studies at Strayer University for 9 years. 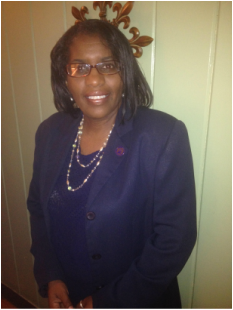 She also taught business and criminal law classes at Axia University and Remington College for over 4 years. 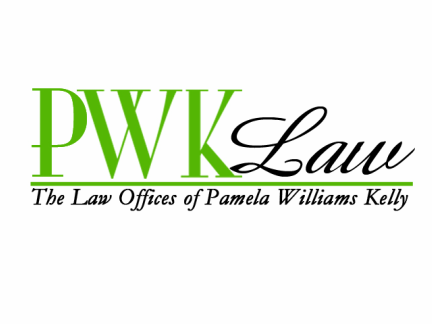 PWK Law is open during regular business hours, but client appointments must be scheduled in advance. If necessary, appointments can also be scheduled at times outside of regular business hours by calling 901-210-6551. Please leave a message for a return call. Office/fax number is 901-907-0076. E-mail messages and telephone calls will usually receive a response on the same day or within 24 hours (except for Sundays). For client convenience, payment plans are available for legal services. Legal fees can also be paid online by clicking the "Pay Now" button below. Don't Surprise Your Spouse By Serving Him in Public,"
​"Don't Make the Kids Pawns." 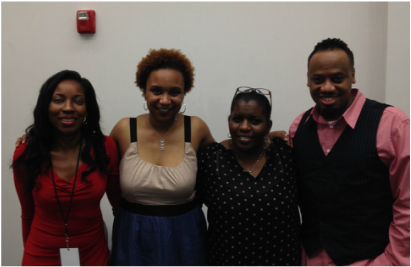 I'm on WLOK Radio every month. 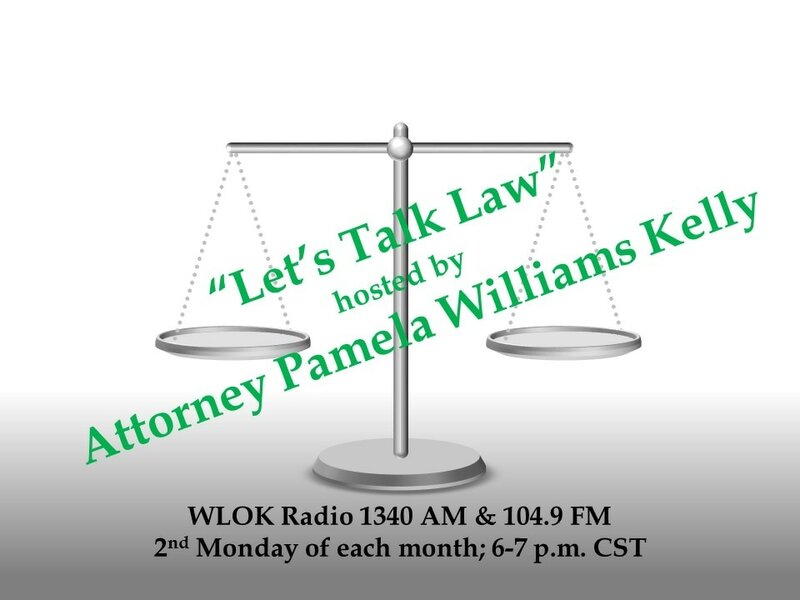 Listen in and call in about hot legal topics.